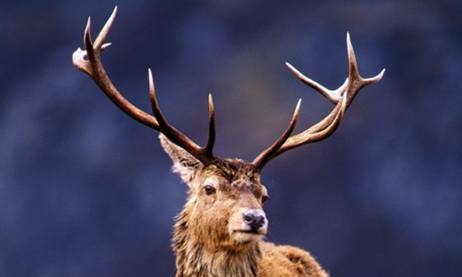 Forest Law protected the venison for the kings to hunt. However hunting can hardly have been the motivation for maintaining so many forests. As well as Sherwood Forest there were other famous forests such as the New Forest in Hampshire, Englewood in Cumbria and many others. In England in the medieval period there were as many as 46 individual royal forests. Certainly too many for one king to hunt in all the time- there must have been some forests that the king never even visited. In reality forests and their laws and courts became huge financial institutions. - (Turner. 1901). (see bibliography). Forests were a way of jealously guarding the assets of venison and woodland for the crown. All of these brought vast sums of money to the treasury. In 1316 Edward II authorised Ralph de Crumbwell to fell and sell 20 acres of his wood at Lambley- as compensation for his losses when engaged in the king’s service in Scotland (probably following Edward II defeat to Robert the Bruce at the Battle of Bannockburn in 1314). -Permission to chop down his own trees and sell them!! Under forest law it did not matter who owned the land - the trees and deer belonged to the King!! No wonder forest law was unpopular! The keepers of Sherwood Forest had many privileges that came with the job. One of those was the right to charge a tax called cheminage. This was a toll for passage through the forest that went straight into the pockets of the keepers. This tax applied specifically to people taking carts through the forest. It did not apply to produce or possessions being carried on foot. The 1609 crown Survey map of Sherwood Forest by William Bankes depicts a number of 'Packmans ways' criss-crossing the forest. Did people make journeys on foot to avoid this tax? There were many religious houses in Sherwood Forest; the most famous ones are at Rufford Abbey, Newstead Abbey (photo left), and the remains of Worksop Priory (Gatehouse). The largest and most wealthy religious house in Sherwood Forest was built on the outskirts of Nottingham at Lenton. Lenton Priory would dominate the religious life of Nottingham for hundreds of years. These religious orders followed in one way or another, the code of St Benedict who was active in the early 6th century and lived a reclusive life dedicated to prayer and spirituality. Monks had been in England since the dark ages, but the Normans brought with them a massive passion for monasteries and monastic life. 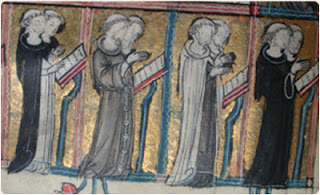 Medieval society was divided into 3 parts- ‘those who fought’, ‘those who worked’ and ‘those who prayed’. The ones who fought had killed a lot of people- especially during the conquest- and they therefore need a lot of those who prayed to seek forgiveness for them. Monasteries offering prayers for souls were a worthwhile investment for rich noblemen who wanted to get into heaven- and so hundreds of religious houses sprang up in Medieval England. Sherwood Forest with it secluded areas of heath and woodland was no exception. Monks lived away from society in monasteries and priories- so Sherwood Forest was ideal for them. In the late 11th and early 12th century a new wave of monks known as the Cistercians sprang up across Europe. They truly wanted seclusion- the Cistercian House in Sherwood Forest was built at Rufford. Here the monk’s desire for seclusion resulted in the destruction of no less than 3 villages, with the people being forced from their lands. Monks became immensely powerful- and often immensely rich too. 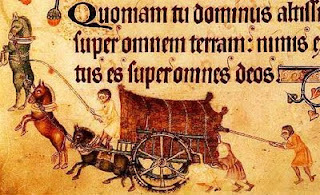 In the 13th century things changed and a new wave of religious fervour swept across the continent. Many people sought to imitate Christ by joining communities of Friars. Friars differed from Monks in that they did not live in isolated communities, but lived amongst the people surviving originally from begging and handouts. There were a number of orders the most famous being the Franciscans- following the teachings of St Francis who urged a life of strict poverty. Their costume resulted in them being known as the ‘Grey Friars’. 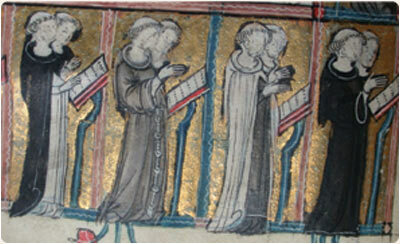 Alongside the Franciscans were the ‘Back Friars’ or Dominicans who followed the order of St Dominic. A third order of friars known as the 'White Friars' were called the Carmelites. Two of these orders of friars in Sherwood set up houses in Nottingham. The White Friars on the current site of the Bell Inn on Chapel Bar, and the Grey Friars at the foot of the cliff in the poor Broadmarsh area. This closeness to people made the friars immensely popular. (More on Friars, monks, religious orders and the religious houses of Sherwood Forest soon). In Medieval Sherwood Forest is a large mound listed as a Bronze Age Burial Mound on the Nottinghamshire Historic Environment Record it was surveyed in 2007 by Nottinghamshire Community Archaeologists Andy Gaunt and Emily Gillott. It is now believed to be the location of the Gallows of the Royal Manor of Mansfield known as 'Galow Tre Hyl' on a medieval map of Sherwood Forest. Open publication - Free publishing - More theives wood. Fairs were an essential part of medieval life- people would trade in everyday goods such as bread and ale which were strictly controlled commodities . 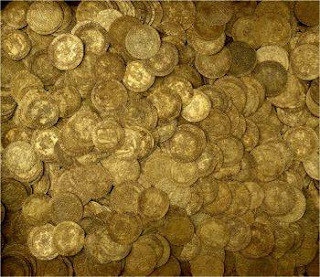 They would also trade in spices and luxuries from around the known world. The oldest surviving fair is Goose Fair. The first reference to what would become goose fair comes from a charter of 1284- permiting an 8 day fair in the town of Nottingham around the feast of St Matthew. Almost all that is known of the Medieval legend of Robin Hood comes from 5 surviving ballads or poems, and a small part of a play. The oldest is known as Robin Hood and the Monk. This is from a manuscript written circa 1450. Another tale written around 1503 is called Robin Hood and the Potter. By this time the legend was well known enough to warrant printing. Between the end of the 15th century and the middle of the16th century no less than 5 versions of a lengthy poem called A Gest of Robyn Hode were made. One of these was made by the early English printer Wynken de Worde who worked between 1492 and 1534. The 2 remaining poems come from the Percy Folio. This was written in the middle of the 17th century- but the poems are far older. These are Robin Hoode his death, and Robin Hood and Guy of Gisbourne. These tales were written down from the 15th century onwards, but the legend was clearly far older. The oldest literary reference comes from William Langland’s Piers Plowman, written in about 1377. The legend was older still than this… dating back before 1261- but that is another story. He was not however officially responsible for the royal forest of Sherwood. This was the responsibility of the Keepers of the forest. In Sherwood Forest these were hereditary keepers the De Caux and later D’Everingham families based at Laxton Castle and from 1286 the constables of Nottingham Castle. It was the keepers of the forest who controlled the Foresters - the police force of the forest. 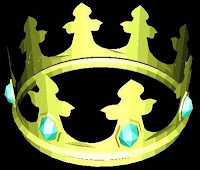 The sheriff however was responsible for controlling the royal parks of Clipstone, Bestwood and the Castle park. One such Sheriff was Philip Mark. …He was merely accused of the usual kidnap and bribery of the time during his tenure. In 1215 he kidnapped 3 sons of the friends of William of Lancaster, and held them for 7 years!! After his death he was found to have accepted payment annually of 100s from the burgesses of Nottingham to support and maintain their liberties. He also spent a great deal of time bullying landowners and taking manors off them for himself. He took over running the forest and was ordered in 1217 to hand back keepership of the forest to Maud De Caux its rightful keeper. He was instructed to remove his officials. Obviously he disobeyed and in 1220 complaints were made about his men and the extractions he was making in the forest. Obviously they were extorting the people illegally . He was ordered to reduce their number and make them behave. Could he have been the original bad Sheriff of Nottingham who inspired the legendary character? The Domesday Book was written in 1086 at the command of William the Conqueror. The Nottinghamshire section lists all the vills and parishes in exixtence at Domesday, listing the amount of arable, pasture, woodland, mills and ploughs that belonged to the different manors for taxation purposes. In Warsop (a village within Sherwood Forest- although not described as such) Domesday lists a blind man living with 1 bovate (an area of land equivalent to that which an ox could plough in one season- around 15 acres) in alms from the King. 'anyone exiled according to the law for any crime, no one but the king can restore peace to him'. The oldest known boundary for Sherwood Forest- or the forest in Nottinghamshire comes from an inquest into the rights of the Arch-Bishop of York with regards to forest laws. This inquest was held in 1155/6 (see Crook 1994 in bilbliography). This was at the start of the reign of Henry II. Henry II was the grandson of Henry I.
Henry I was king from 1100-1135. He died leaving his daugther Matilda on the throne. She was married to his main rival Geoffrey Planaganet the Duke of Anjou. The Norman barons feared having the Duke of Anjou on the throne and instead invited Stephen of Blois a Norman lord and nephew of Henry I who became King Stephen of England in 1135. Matilda and Geoffrey fought back and a civil war known as the 'Anarchy' enveloped England for nearly 20 years. The ultimate result was that Stephen accepted Matilda and Geoffrey's son Henry of Anjou as his successor. He set about restoring his kingdom to how it had been in the reign of his grandfather Henry I. In Nottinghamshire he held the inquest mentioned above to determine the extent of the forest and the Archbishops rights against it in the reign of his grandfather. This boundary covered the western half of the county extending from the Trent in the south up the Doverbeck river in the southeast to where it crossed the Kings Highway to York. It then followed this road to the boundary of the county at Bicarrs Dyke in the far north. Everything to the west of this line was called the 'old forest in the time of Henry I (1100-1135). This is interesting in that this area is significantly larger than that defined as Sherwood Forest in the 13th century (see boudaries page). This boundary includes the area to the north known as 'Hatfield' meaning heath field- a logical inclusion within a forest. Does this mean the original forest followed this boundary? The old road to York was one of the most important routes through medieval england. It passed right through the heart of Sherwood Forest and would have been the haunt of outlaws and bandits offering fear to travellers as it crossed the heathland and by the woodlands of the high forest area. The road crossed the meadows to the south of the town before climbing up the cave-lined passage of hollowstone into the heart of the original English settlement. It passed by the curch of St. Mary's up Stoney Street and northward through the town gate. It by-passed both Castle and Market square as these were later additions by the Normans to the original Saxon settlement, and the old road pre-dated these. The strategic position on the rock to the west of the road made it an ideal location for a major castle- William the conqueror recongnised this and had William Peveril build a castle here... but more of that later. Having left through the gates of the medieval walled town it crossed the two great open arable fields of Nottingham before passing the town gallows at the top of the hill. The road then set off across the heathland of the Waste of Basford, passing the Manor of Arnold before heading off northwards into the High Forest. The road further north marked the eastern edge of Sherwood Forest. The Road to York is mentioned in perambulations of the forest boundary throughout the medieval period, and was considered so important it is mentioned in Domesday Book. One of the interesting puzzles about Sherwood Forest is its shape. The lop-sided hour-glass shape stretching from the river Trent in the south to the river Meden in the north. This was the outline of the forest from the 13th century (see boundaries page). But was this its original shape and size? Was this the original boundary? One possible indicator is that there are no early casltes (11th and 12th century) within the 13th century boundary of Sherwood Forest. Is this a coincidence, or is this because the original boundary was the same as the 13th century boundary? Was the original forest within an area under the control of Nottingham Castle? A Castlery? (See the image oposite showing the forest and the location of early castles, the castles are around the perimeter of the Forest at strategic positions). And was the 13th century Sherwood Forest a retreat back within these bounds? Ridley Scott claims his new film starring Russell Crowe will be the most historically accurate ever. But what do we actually know about the real outlaw and his merrie men? ...'In the cafe, Andy Gaunt, an archaeologist with Nottingham county council, tells me not to think of medieval Sherwood as just a forest. It was a working community, governed by forest law (a draconian code introduced by William the Conqueror to protect his hunting land). The inhabitants of areas governed by forest law loathed it, and would have been likely to lionise anyone who flouted it. It is easy to see how outlaws became heroes, and common criminals could be confused with freedom fighters. See the full article by clicking on the title or see Stephens profile by clicking on his name. In the reigns of Henry II (1154-1189), Richard I (1189-1199) and John (1199-1216) all of Nottinghamshire north and west of the River Trent were under Forest Law. The name Sherwood Forest was not used in the records to refer to this area. The area to the west on the Sherwood Sandstones and Magnesian Limestones including the town of Nottingham itself was known as the 'Forest of Nottingham'. Laxton Castle was the principal seat or Caput of the De Caux and D'Everingham families during the Medieval period when they were keepers of Sherwood Forest. It was from this castle that the adminstration of Sherwood Forest was undertaken. The Keepers of Sherwood Forest employed the Foresters who upheld the Forest Law and acted as the police force of the forest (see Forest Law page). The university of Birmingham Institute for Archaeology and Antiquity (IAA) and the University of Nottingham have been undertaking a topographic survey and geophysical survey of the castle site for a number of years now and the website relates some of their findings. A medieval forest was a geographic area subject to forest Laws not a large wood. Within Medieval Sherwood Forest there were however many areas of heathland and woodland. These woods each had their own name and often served different functions- the wood of Lyndhurst was kept for the upkeep of Nottingham Castle. Many of the woods were protected with a surrounding woodbank with usually a hedge on top to protect the trees and saplings from browsing livestock. Woods surrounded by hedges were often refered to as 'hays' from the early English word 'Haga' for hedge. The wood of Birklands a crown possession (now part of the Sherwood Forest National Nature Reserve (SFNNR)) was known as the 'hay of Birkland' in the medieval period. Alongside hays there were also parks. By definition a park had a fence or Pale surrounding it, rather than a hedge. Parks in Sherwood Forest were in the ownership of the King and were used for hunting and for the collection and storage of vast numbers of deer. A park was an emormous status symbol in Medieval times. Sherwood Forest had 3 royal parks within its boundaries during the Medieval period. The Castle park, Bestwood Park, and Clipstone Park. In the heart of medieval Sherwood Forest on the edge of the ancient crown woodland of Birklands is a hill and mound marking the boundary of 3 parishes. This hill is now called Hanger Hill, but its ancient name was Thynghowe. 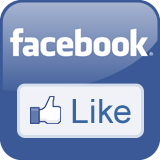 For more information see the Friends of Thynghowe group. To the modern mind a forest is a large woodland. The Amazon 'rainforest' is so named because it is an enormous area of wild woodland. Alongside Robin Hood himself- it is the Major Oak that is the symbol of Sherwood Forest. If you asked a medieval person to define a forest their anwswer would probably relate to Deer and the Crown. A law introduced by the Normans to protect Deer for the king. In the heart of medieval Sherwood Forest in the the ancient crown woodland of Birklands lies an enclosure made up of a ditch and bank. This was first recorded by the antiquarian Major Hayman Rooke in the 18th century (this was the Major after whom the Major Oak is named). 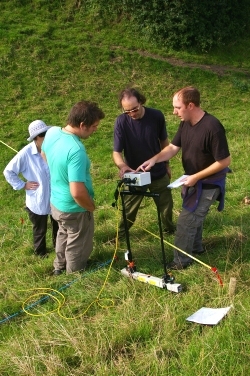 This Archaeological Topographic Earthwork Survey of the enclosure was undertaken by Nottinghamshire Community Archaeology. This report contains the results, a study of the landscape setting and a discussion of its origins... is it part of an Iron Age or Roman farmstead? Or a Medieval stock enclosure for hunting in the Royal Forest?.